Since 1993 Empathy is a Negotiators & Mediators firm. 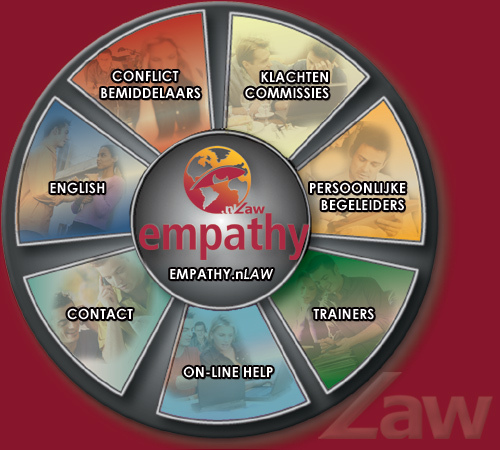 Empathy is specialized in providing sophisticated legal resolutions for all business partners. We negotiate business transactions and provide diplomacy. Empathy is familiar with Anglo-American, Asian and European business cultures. We explain legal contract dynamics or mediate in commercial & legal disputes. Empathy has a strong sense of individual identity and devotes personal attention to all their contacts. Empathy solves legal conflicts and gives clear, sound advice. Preferably about how to actually prevent problems and find Appropriate Dispute Resolutions. Specific expertise Empathy has some of the best international certified mediators and Doctors of Law. Empathy has specific know-how and is counselor for Integrity. Empathy Practice: Arbitration; Corporate Governance; Corporate Structures; Employee compensation; Joint Ventures; Equity Law; Regulatory; Resolutions and Trust. Contact Feel free to contact us personally. We have offices in Dutch capital Amsterdam & Asia. With the help of local experts Empathy offers their know-how at competitive rates. Empathy-Law Key to Dispute Resolution. We do! care. Feel free&welcome to contact us. In both interests please report any inconvenience to us. Both in English, Dutch and German.